The MWS6 is a mid-range microwave presence/absence detector for the automatic control of lighting, heating and ventilation. 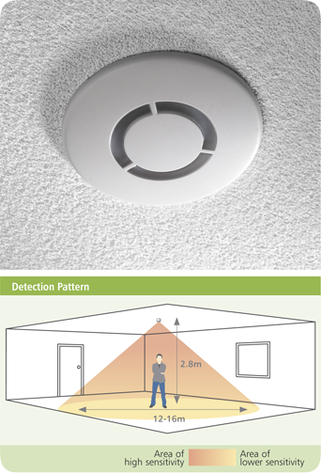 This detector has a low profile design which allows flush mounting into a ceiling tile, or surface mounting using a detector back box. Its reduced head size makes it unobtrusive to occupants. The MWS6 detects movement using a highly sensitive microwave detector.